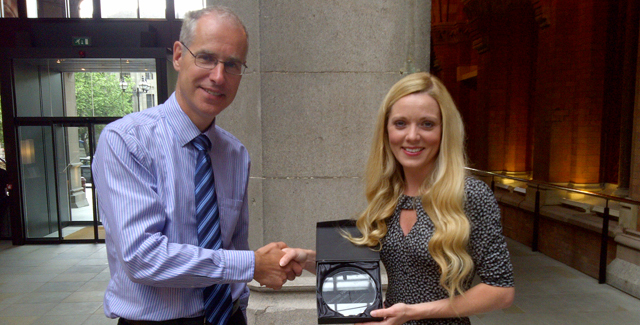 Becky is the first member of the Golden Lane Housing team to receive a Mencap staff award. Mencap’s Making a difference award is a new category celebrating staff who have made a real difference to the lives of people with a learning disability or their families. Nominated for commitment and enthusiasm in taking on extra responsibilities to cover a vacant development manager role, Becky was recognised for being dedicated, having passionate focus and a real sense of purpose. The judges were especially impressed with Becky’s person-centred approach to enable the right housing solutions to be found, while high praise was given for her excellent negotiation skills and ability to create new opportunities. “It was a lovely surprise to win Mencap’s Making a difference award, I’m really touched by it. Covering the development manager role enabled me to secure properties that individuals had chosen and met their needs. This was extremely rewarding and enjoyable, but it would not have been possible without the support from the GLH team, for this reason I would like to share the award with them too! Providing quality housing solutions to people with a learning disability is one of the best jobs in the world, I am very lucky,” Becky Arrowsmith, housing manager.